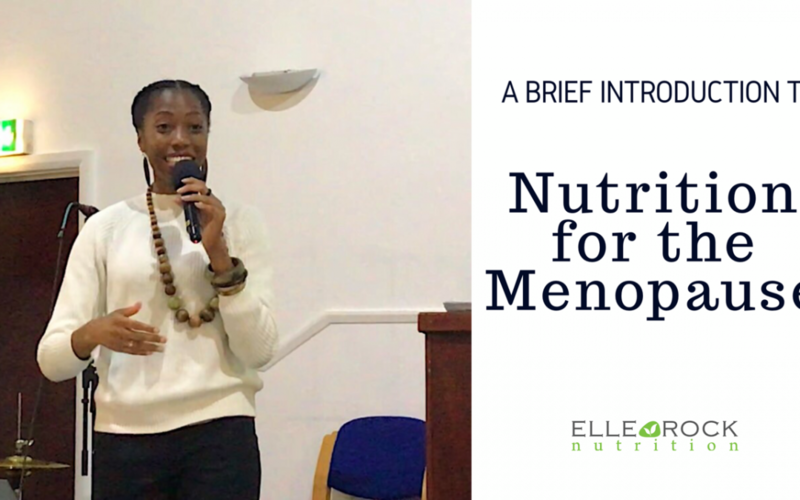 If you want to hear more about NUTRITION for the MENOPAUSE, after yesterday’s “The Truth About the Menopause” on BBC1, then watch this video. Many of the issues experienced during the menopause can be supported via good nutrition. Here are a few diet and lifestyle tips, including phytoestrogen and calcium-rich food sources, that may support the transition. Special thanks to Faith & Hope Ministries (COGOP) for inviting me to briefly speak amongst other professionals on this important topic. Thank you for watching. Please Like, Comment, Share & Subscribe! Do you want to hear from me directly? Get the latest ELLE ROCK NUTRITION updates, services, promotions, offers and events! Click here to join the mailing list. © Rochelle Logan-Rodgers and ELLE ROCK NUTRITION, 2018.